In England and Wales, is an obligatory requirement for landlords to protect any deposit received for an assured shorthold tenancy (AST) that started on or after 6th April 2007 in a Tenancy Deposit Scheme. A Tenancy Deposit Scheme is a Government approved, independent third party which is permitted to protect tenants’ deposits for the duration of the tenancy. Under the Housing Act 2004, once a landlord or letting agent has protected a deposit under one of the three schemes, the tenant must be provided with information relating to this protection within 30 days. This is known as the prescribed information. Failure to adhere to deposit protection obligations could see landlords fined up to three times the deposit amount. In addition, landlords would be unable to serve a section 21 notice to regain possession of their property. Should a dispute arise at the conclusion of the tenancy agreement, the chosen Tenancy Protection Scheme offers a free dispute resolution service in order to solve the issue. This is not mandatory and both the landlord/agent and tenant must agree to use the service. The scheme will then make an impartial decision, with the deposit being allocated accordingly. Further information on Tenancy Deposits can be found at the Government website. 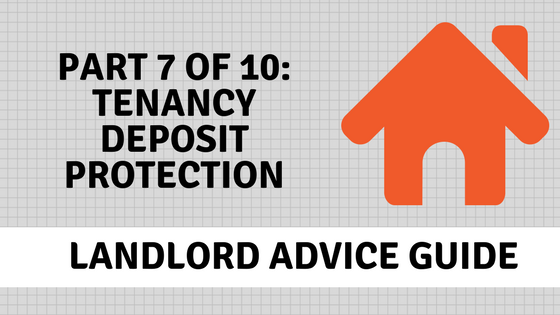 Readings are a member of the Tenancy Deposit Scheme which ensures full compliance with current deposit protection legislation.